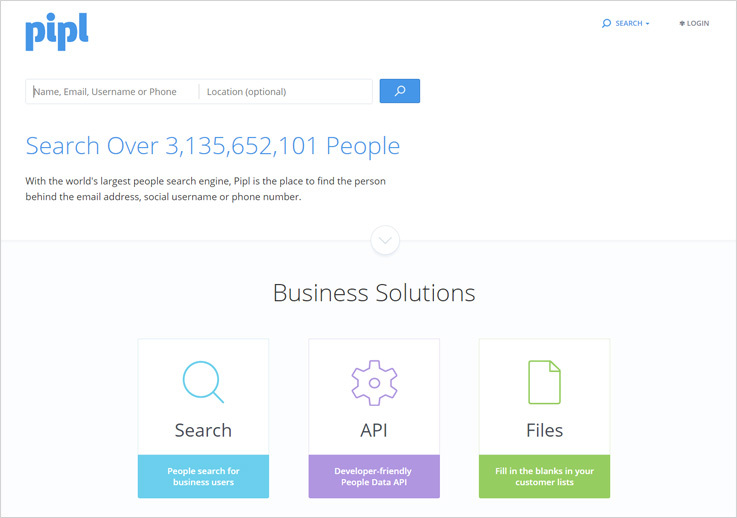 Clearbit is considered a great software because of its features and the accurate profile information that it provides. But at the same cost better and economic Clearbit Alternatives are also available that are capable of performing similar functions. In this blog, some of the best alternatives for Clearbit available in the market are discussed. All these softwares can derive information of the people and present it in one of the best possible ways. These softwares will give you all the social accounts of the lead and other public records that are present on the web so that it is convenient for you to gauge a potential customer before you contact them, thereby, saving you from investing a lot of time & energy in contacting junk. Beenverified is a software which let you search your lead through a number of options. Basic information like full name, phone number, email id of that person. It also projects residential address of that individual which can be used to get effective results for interaction. The software also shares the sources from where the data or the information of an individual has been fetched. It goes a step deeper by exhibiting the criminal records of the lead if that exists. All the records are being fetched from social networking sites like Twitter, Facebook, LinkedIn, etc. Essential details are also searched from professional records, court records, bankruptcy records, online photos & much more for greater help. Plan 1 :- As per the plan 1, at the price of $26.86 the user will have age, location, email, photos, social media accounts, phone number of the particular lead being searched. Plan 2 :- In the plan 2, the amount that the user will have to pay is $52.44 per month, for which he will get a 3-month membership where you can search people age, location, email, photos, social media accounts, phone number etc. Pipl is yet another amazing data enrichment software that allows you to search leads and gather all the enriched data, the software enables a user to collect all the information on the profession of the person like company, designation location and other. You get the flexibility to add email id, phone numbers, residential addresses & then fetch the data relevant to it. Details received through the software are like age, gender, spoken language & also education details of that person. The system also allows you to upload email lists with bulk contacts. 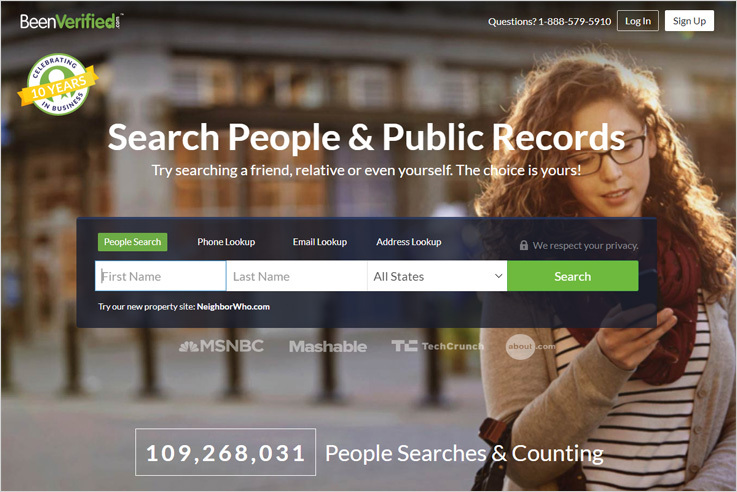 It can find information for over 100,000 individuals at once. Contact :- In this plan, the user will have to pay $0.05 per match in which he will get age, name gender, address and landline phone of the lead. 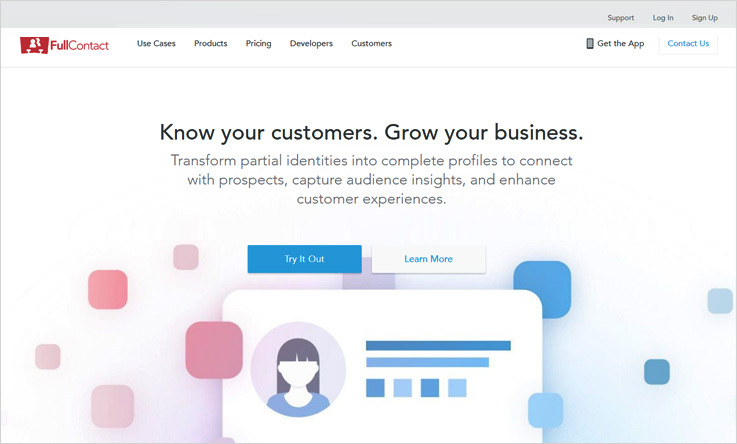 Social :- On the same track, the user in this plan will pay $0.10 per match for which he will get everything in contact plan and images, associates and social handles. Business :- Likewise, the user for the business plan will pay $0.20 per match for which he will get everything in social plan and job, education mobile number, and email address. FullContact is a software which acquires all the relevant information about the lead on the web. The system acquaints you with the lead fully by grabbing the complete details, you will be able to contact these leads accordingly once you get to know them better. The software gives customized & filtered data which you exactly need to segment, personalize, verify and enrich your contacts. Around a billion individual profiles and over 15 million company profiles are searched deeply for updates and enrichment. You will get the most recent data delivered in real-time. Through this software most updated results of the leads being searched and provided instantly. Starter :- In the starter plan, the user will pay 2500 matches including the person matches, company matches, data add-ons for $99. Plus :- For the plus plan, the buyer gets 15000 matches person matches, company matches, data add-ons for $299. Premium :- In the premium plan, the user will be paying $499 for which he will get 50000 matches which includes person matches, company matches, data add-ons and various other features. Enterprise :- Need to get in touch with the sales team. 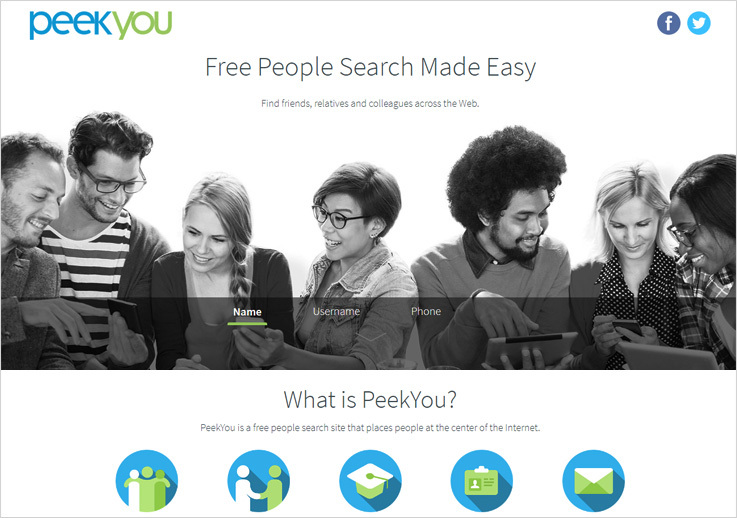 PeekYou is a user-friendly software that allows you to receive data of the leads through name, username and phone number. Through the software you can find, friends, acquaintances, business circle and the most important your potential customers. The software provides the information of the leads by presenting social media details from different sites like facebook, twitter & much more. Moreover, it also fetches the residential address and the phone number of the lead. And gives you the flexibility to contact the lead through various mediums. It analyzes contact details over 60 social sites, news sources, homepages & blog platforms, inorder to recognize the actual people behind it. Need to get in touch with the service providers. 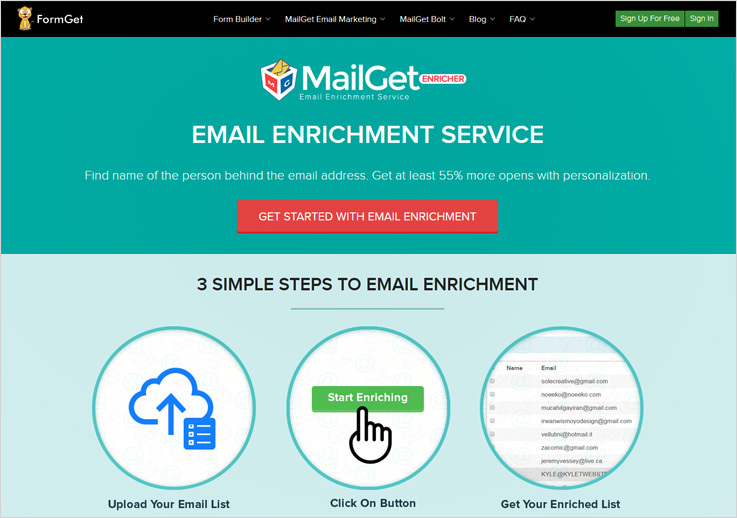 One of the most productive email enrichment software that you will come across today is MailGet Enricher. It is a productive system which gives the full information behind a person’s email id. Essential details like the name, job profile, age, designation, department and several other traits. Through this software you can upload email lists with bulk contacts and filter the details with ease. The enriched list generated will contain all the pertinent details of the lead being searched. The information received will be pure and 100% authentic. All the data available on social profiles of the people like facebook, twitter, Pinterest and similar other profiles will be fetched. One value-added functionality of the software is the “download” of the enriched list which you can use for your future reference to increase your sales. MailGet Enricher has designed a number of flexible pricing plans. 1st Plan :- As per the plan 1, the buyer will pay $19 for which he will get the information of 1000 leads. 2nd Plan :- Likewise, In the plan 2 the buyer will have to pay $99 for which he will have the information of 5000 leads. And for the highest plan the user will have 1,000,000 leads information in $9999. For more pricing plans and their details, you can visit the service provider site. In my opinion, MailGet Enricher is the best software as it gives authentic & defined lead enrichment results and that too at an economical price. If you analyze a lead info in just 2 cents which is way cheaper in comparison to other service providers. The above mentioned alternatives to clearbit are the most appropriate email enrichment software. All these will help the buyer to get the authentic and correct lead information that they can use by getting in touch with them that too with precise data. These softwares benefits the user in more than one way. It basically acts as a powerhouse of information of a number of people to whom you have been hunting for so long.